Woot! Woot! The month of February is almost over. I still can't believe that we are on the 3rd week already of the shortest month of the year. How did your Valentine's Day go?! I hope you had a wonderful time with your loved one. Though I may be single (Read here to know Why) I am not bitter or anything sa Araw ng mga Puso. It is a nice and fine day to realize that out heart deserves a special day. Let your heart be happy (kahit isang araw lang hehe). And if you feel really alone... realize the many people who loves you! Anyhow, today's post is all My Life, My Job, My Career and the 6 Success Tips that Helped Me. I just thought of this blog topic one time while at work. I guess it is nice to really let you know more about me. This is also a shout out for those who enjoyed the 21 Facts About Me I posted on my birth month. I am not a rich kid. I was born of a private employee dad whom I call Papa and plain housewife Mom (whom I call Mama) though my Mom have a sari-sari store until today. We lived in a simple home in Taguig. We weren't that close as a family before. We've never been the type of children who will talk to their parents about what happened during the day. Growing up I developed this sense of independence. I knew I was different than those of my same age. Yo! First time in SM Aura. Instead of toys I write comics and horror stories on notebooks na hindi ko na ginagamit. I also love to speak what's on my mind. Recitation is my kind of game though medyo di ko feel kapag exam na. I always have this idea na I need to be known. I guess this is again the "recognition" language of love that I have. I challenged myself to be better. At an early age my goal is to be rich. I told myself that "Gusto ko yumaman. Gusto ko ibigay sa parents ko yung buhay na deserve nila". From going to different places to knowing people that will play special part in my life, becoming an emcee for four years now is such a wonderful journey. I was about to give up my education on my junior year sa college because I felt like kumikita na naman ako ng pera. Thankfully, a lot of my friends as well as my spiritual mom advised me to finish my studies because the talent in me will always be there but the momentum of graduating comes only once. After graduation, I knew I want to focus in hosting events but my parents disagreed. They insist that a job will teach me lessons in life that hosting gigs might not teach. Also as a young professional, I needed my benefits and IDs. So I have a daily job as a Technical Writer/PR and Marketing Assistant. I create system manuals, user guides, contracts as well as brochures, flyers and sales pitch for an IT company in Makati. It was the kind of job that I know I can be myself. I love the company, I love the boss and I love the co-workers whom I treat as my second family. So to cut the story short my job at the moment is office on weekdays and event on weekends. In 2013, I discovered another hobby that turned out to be a therapeutic pastime---- Blogging. My very first blog is IzzaGlino. I share my personal rants, product reviews, beauty tips and so on. It was a blog where I can just dump my obsession on makeup and fashion. 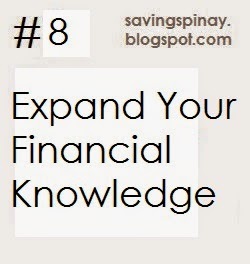 By the end of 2013 I added another blog but this time it is focused on finances, SavingsPinay.. I even added a Youtube Channel and two more blogs alongside. I monetize my blogs and little by little I can see the earnings. Blogging also opened opportunities for me to attend certain special events that I will always remember just like the Coffee Bean and Tea Leaf Giving Journal and the Freedom Event by MFT Groups. My goal is to have this blogging more than just a hobby but a career in the future. If I can earn a living out of something I love then that would be the greatest prize of all. It is too early to say that I have been successful since I know I am too far from the goals that I've set in my mind but I believe the following things have contributed hugely as to why I have always felt confident in what I do. Hope the following will also help you. Take risks. I know that this could be a frightening thing to do but if you believe in your talent and your skills then there's nothing to be afraid of. Develop your talent/hobby and earn from it. There is nothing wrong in asking talent fee for the works that you've done as long as you know that you are doing your best. Develop your talent and earn from it rather than setting to offer for free and end up not getting the recognition you deserve. Aim high. You are meant for the best in the world. Let your goals serve as your motivation. Read: My 2015 Financial and Personal Goals. Always crave for knowledge. I fell in love with financial management and the idea of growing my money because of the financial Business and Investment section in National Bookstore. Since then it became my habit to read books that will further expound my learning. 5. Create a blog. Blogging is a very good hobby. I am very thankful that I discovered the blogsphere and never did I regret that I created my blogs. I love sharing pieces of my life to the virtual world. Once you blog you have this tool to empower yourself and become a voice that people (strangers) could here. Not to mention the earning opportunities. Read: How To Start a Blog Part 1 and Part 2. 6. Acknowledge that everything is according to His plan. We may choose the life, the job or the career that we want but know that everything that happens in our life is part of a greater plan. If you fail along the way, let the experience be lesson learned. Let go and Let God. I hope you enjoyed this blog post. Happy Monday! 2 comments on "My Life, My Job, My Career and the 6 Success Tips that Helped Me"
Around how much do you make as a technical writer? Is the salary more than 25k? Hi Anon. I can't disclose that personal information. :) But as a hint, not more than 25k as of now.